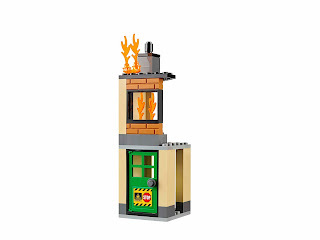 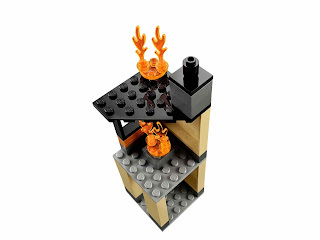 come with a fire engine and a 2 storeys abandoned building with an openable door. 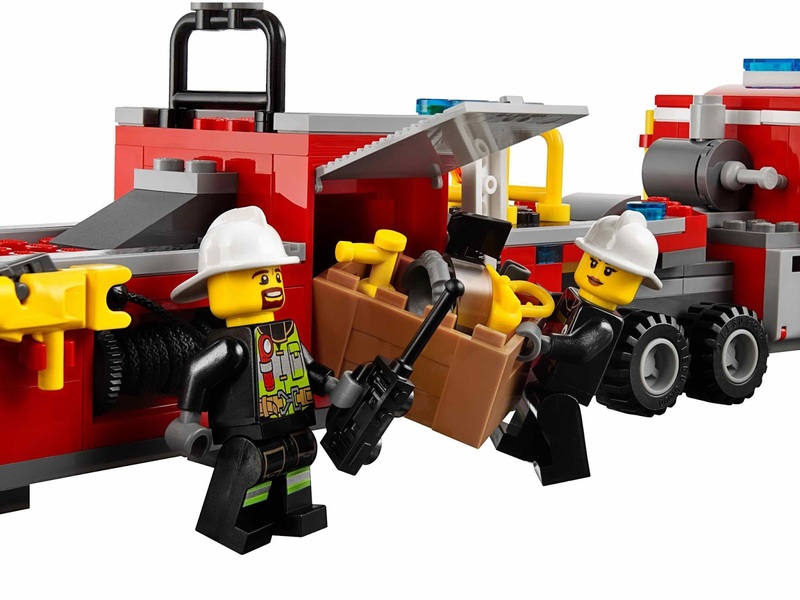 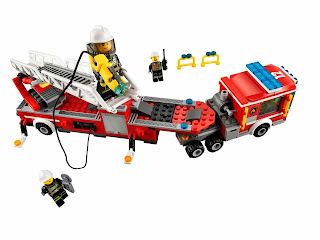 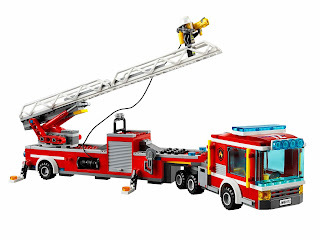 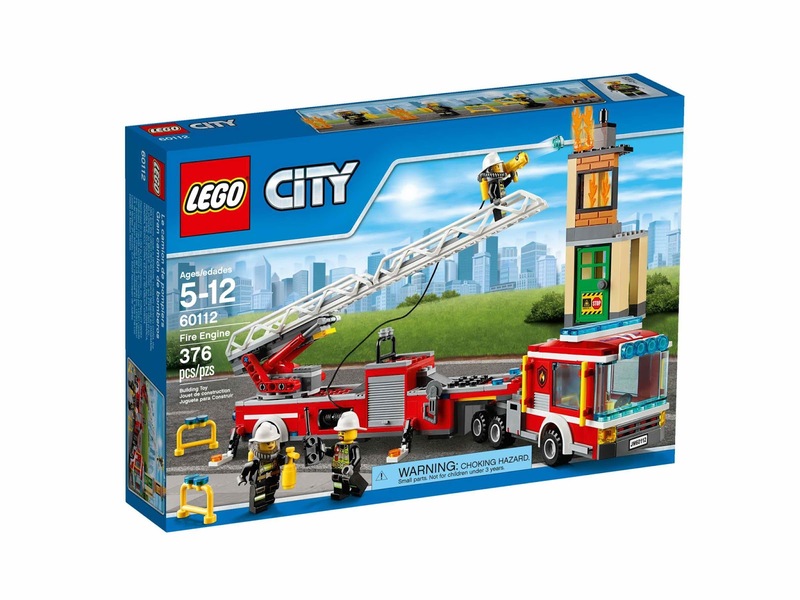 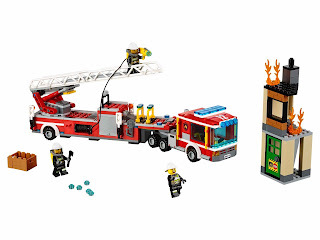 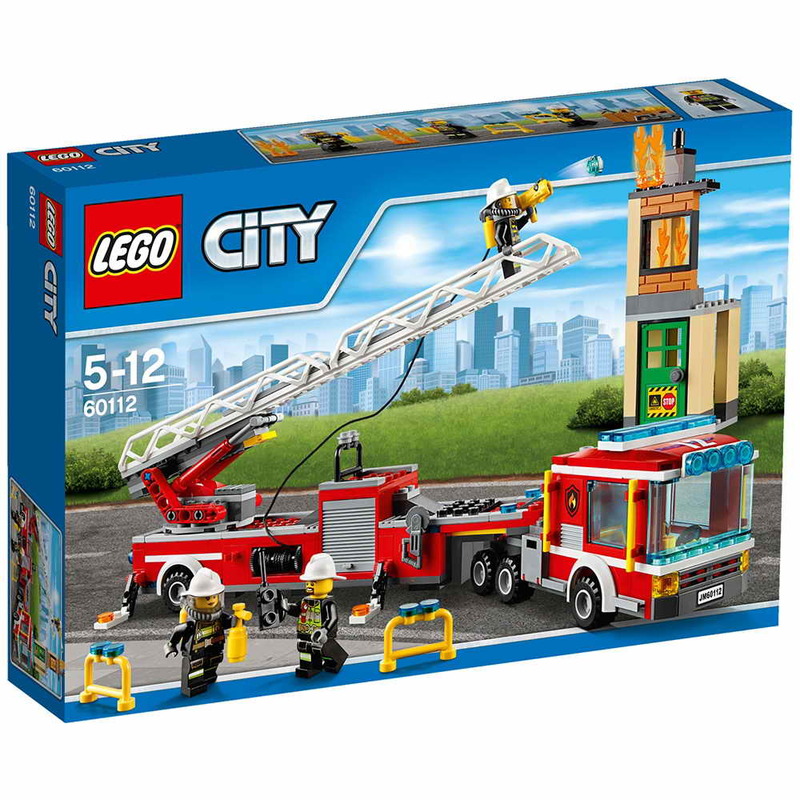 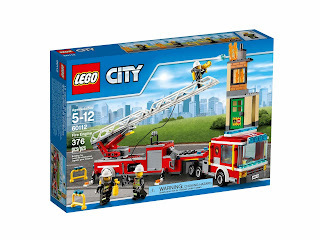 the fire engine has an articulated trailer with rotatable ladder, a stud shootable hose with water elements, outriggers and a smoke gesr box storage compartment. 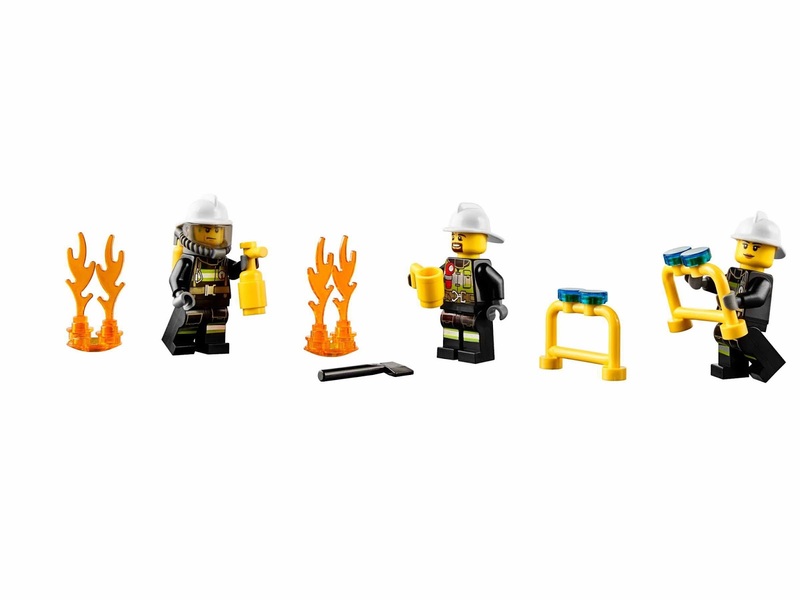 minifigs included 2 male fireman minifigs and a female firefighter minifig.